The Dalles, OR—Levels of naphthalene in The Dalles decreased between 2016 and 2017, according to monitoring data and a report released today by the Oregon Department of Environmental Quality. DEQ has been monitoring air quality in The Dalles since 2016. AmeriTies, a railroad tie manufacturer in The Dalles, is a source of naphthalene emissions and other polycyclic aromatic hydrocarbons, or PAHs. After AmeriTies made a change to its tie-treatment formulation to reduce naphthalene emissions, DEQ monitored at three locations from July 17 to Sept. 19, 2017. At the three monitoring locations in The Dalles, results show the average 24-hour concentration of naphthalene was less in 2017 compared to 2016 during the same period. - Results show naphthalene concentration levels ranged between 0.002 and 2.48 micrograms per cubic meter. The highest measured concentrations were found at the Wasco County Building, located immediately east of AmeriTies. - Average concentrations of naphthalene were above the state's lifetime benchmark based on 70 years of exposure. That benchmark is 0.03 micrograms per cubic meter. - Naphthalene concentrations were well below the 24-hour exposure screening level set by OHA, which is 200 micrograms per cubic meter. - Results show a decreasing trend in concentrations of naphthalene moving west from the Wasco County building toward the Cherry Heights location. - The average concentration of naphthalene per cubic meter was 1.16 at the Wasco County building, 0.30 at City Park and 0.04 at Cherry Heights. Results indicate a strong positive correlation between temperature and concentrations of PAHs. This suggests that meteorological conditions play an important role in the levels and transport of naphthalene and other PAHs in the area. Average weekly production at AmeriTies during the sampling period was less in 2017 than 2016, though the volume of treated ties on the property was greater in 2017. The Agency for Toxic Substances and Disease Registry is completing a health consultation related to The Dalles and AmeriTies. 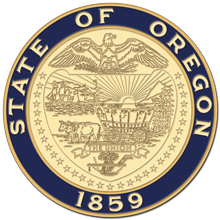 The Oregon Health Authority and DEQ are planning to hold a public meeting when that consultation is released, which is likely to happen within the next month.